1 lb. 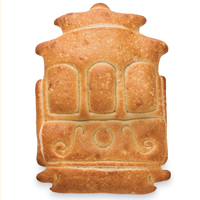 Cable Cars #757 Two great San Francisco icons, Cable Cars and Boudin Sourdough Bread delivered to your door. You'll receive 2 Sourdough Cable cars, each handcrafted by our most experienced bakers. 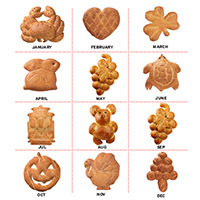 Includes: 2- 1 lb. Cable Cars. From Amanda Norris of Houston, Texas on 1/19/2018 . From brant wigger of miami, Florida on 10/13/2017 . You might leave your heart here, but you can take our heart with you. 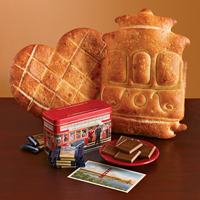 This gift includes a 1 lb heart-shaped sourdough loaf, 1 lb cable car-shaped sourdough bread, one Ghirardelli cable car tin filled with 22 milk chocolate squares.